We are used to seeing in the movies the differences between traveling in first class or in tourist by plane. But today we bring you the differences that we can find in the Airlines that fly from the Altet Airport. First, let’s differentiate between flying in tourist, business class and first class, although we are more familiar with tourist tickets. When you buy a tourist ticket you will have at your disposal a tourist seat, which does not be as spacious and comfortable as those we find in first class. In fact, the differences between seating measurements can vary between 72 to 86 centimeters width of seat and approximately between 43 and 84 centimeters of space for legs. If the flight will last between 1 and 3 hours, well we can bear to be in seats smaller, but if the trip is longer is to think well the size of the sits. In the tourist class the plugs are much more limited and in many cases they are not has access to wifi, better not to mention the gifts as a courtesy bag with personal items or the quality of entertainment available. All this is much more limited and, in certain airlines, it is non-existent in economy class. When we say executive class to the mind we come an endless number of men and women wearing suitcases with a briefcase that take a flight for business. Maybe it’s like that in movies, but in reality it’s a plane ticket that considerably improves conditions with regarding tourist class. From the quality of the drinks that are served during the flight, going through the food served in porcelain dishes with real cutlery, nothing of plastic, even convertible seats in bed. Without going any further, the seats have amplitudes that can reach 87 centimeters and an impressive meter and a half to stretch your legs relaxed during the flight. Some airlines with the executive class ticket gives you the opportunity to get a driver at the airport door to take you home, but if you travel as a tourist and land in the Altet Airport, WePark has a passenger pick-up service at the airport and transfer to the parking lot, where your car has been well taken care of during your trip. wealthy travel in first class. 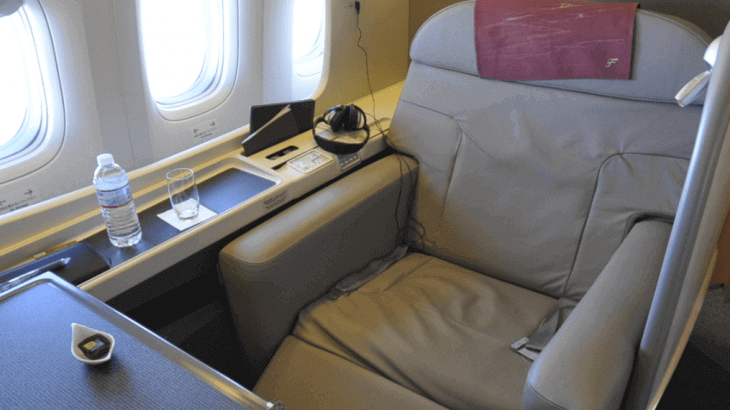 In addition to the unimaginable advantages such as the treatment and exclusive hostess service, first brand drinks, dishes that some airlines they take care to approach the quality of a Michelin restaurant and seats that more than seats are as comfortable as the sofa in your house, add a luxury overdose to the more pure Hollywood style. Services offered by the first class before embarking. with your bags and take care of the billing, so that travel becomes an authentic pleasure. All this entails a price. Tourist tickets, depending on the flight, the airline and the destination, they will have one or the other price, but you can find tickets for 50 euros, up to 300 euros to travel in Europe. However, business class tickets triple or quadruple the prices of the tourist class and those first class tickets can be find around 1000, 2000 or 3000 euros, not suitable for all pockets. The important thing is that if you want to travel, it does not matter if you have more or less budget, it is that airlines give you different options to travel the world and not keep the wanting to know that dreamy romantic city like Paris or enjoying the streets and the History of cities like Berlin.